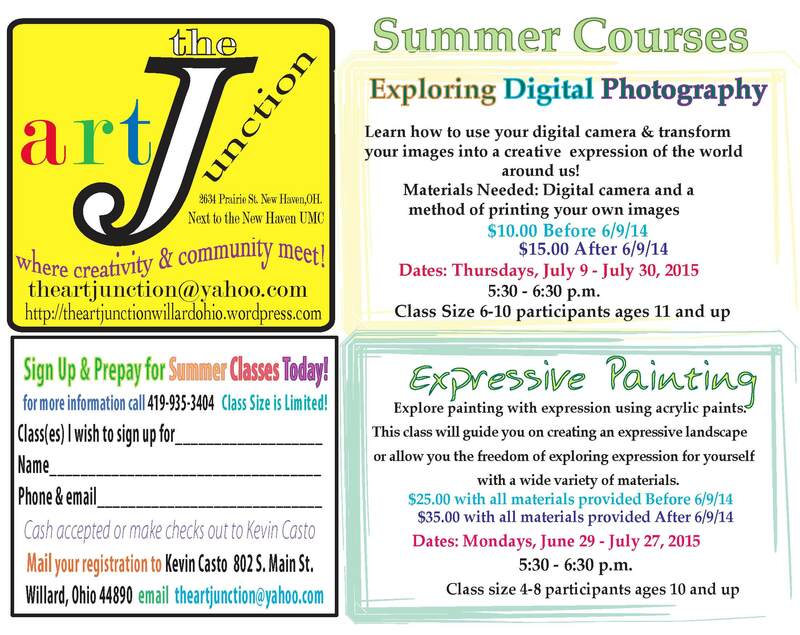 Need some creativity in your summer? 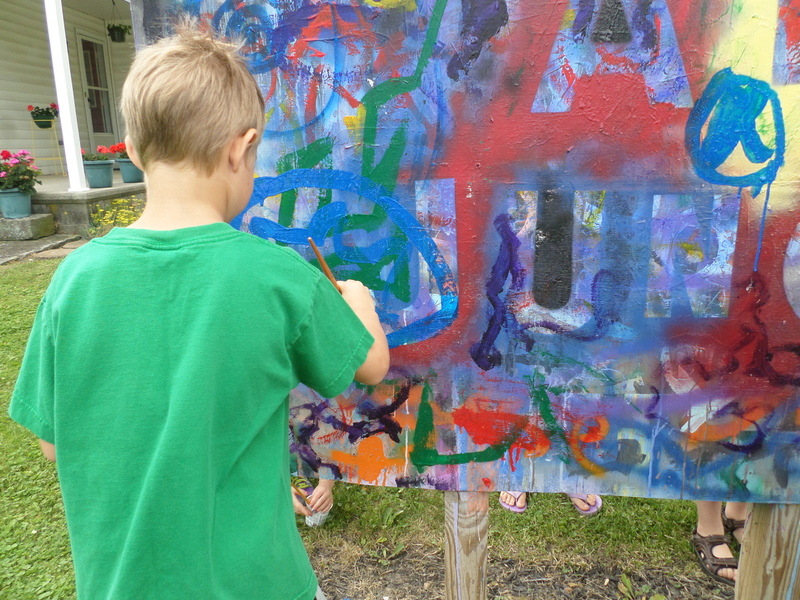 2 days of Painting, Drawing, Sculpture & Creative Explorations Indoors & Outdoors! 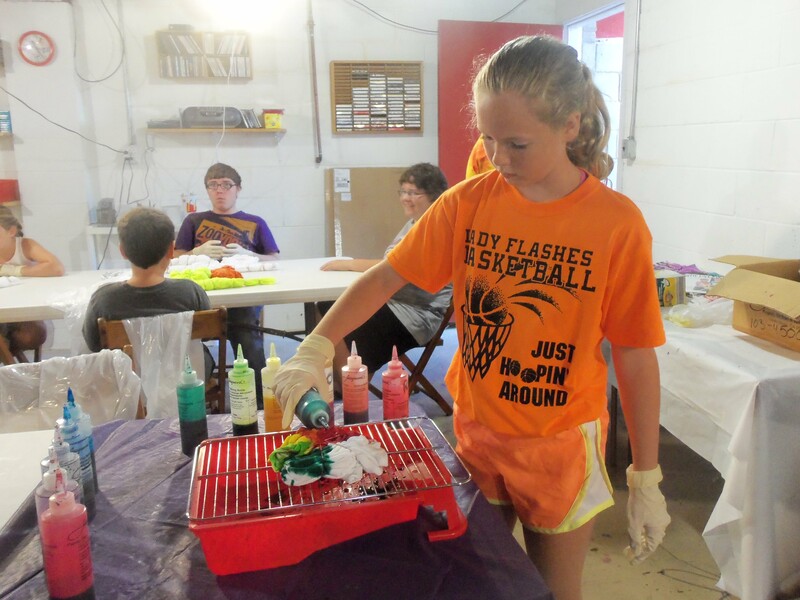 *You must prepay for Camps to reserve your space! 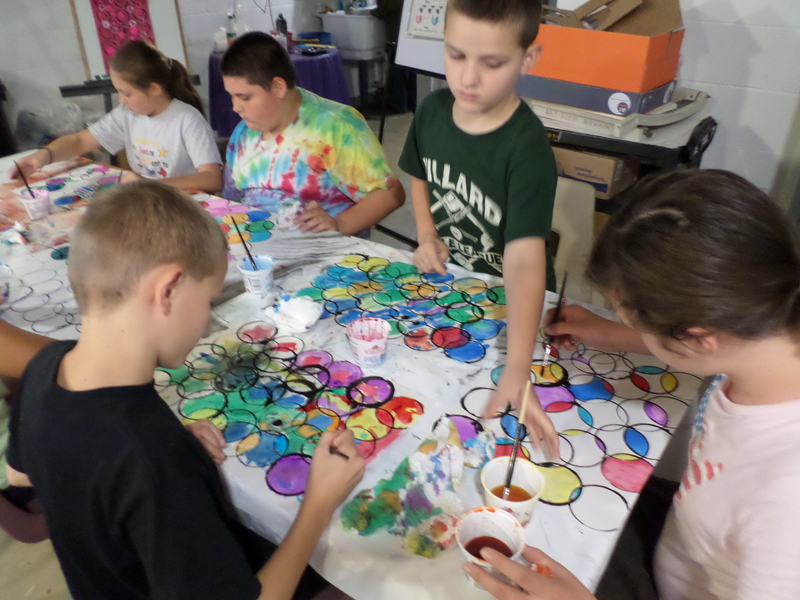 The last day of Art Camp was tie-dye day! 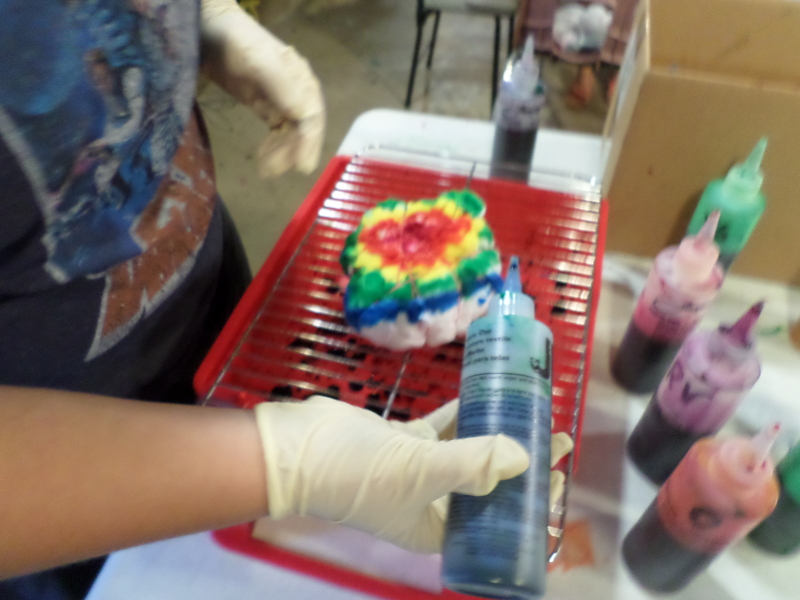 Everyone enjoyed the process of creating tie-dye shirts. 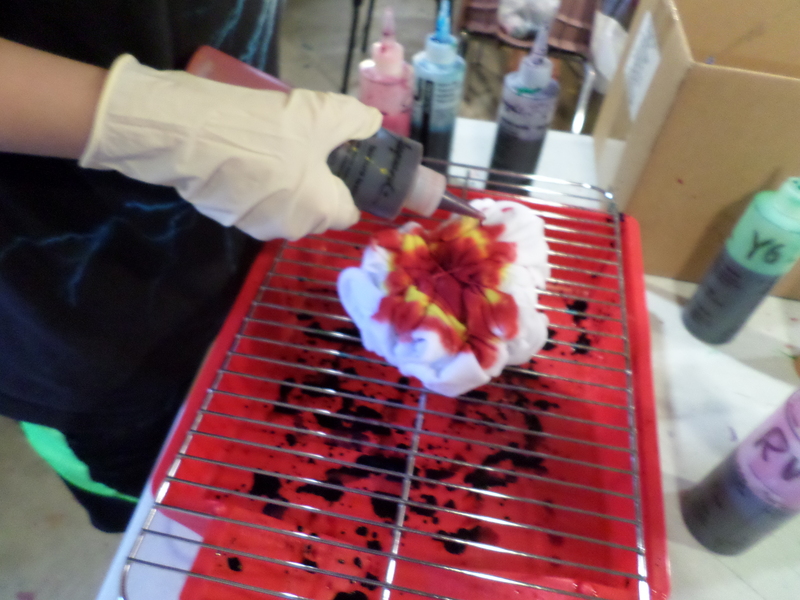 Choosing the right color is the most important part of creating a great shirt design. 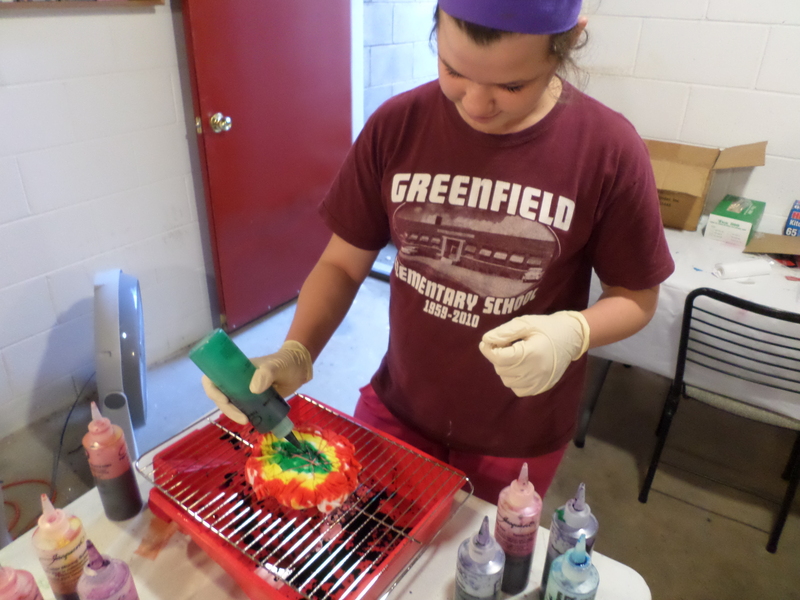 Maybe you can join us for Art Camp next year, or you could request your own tie-dye party at the Art Junction! 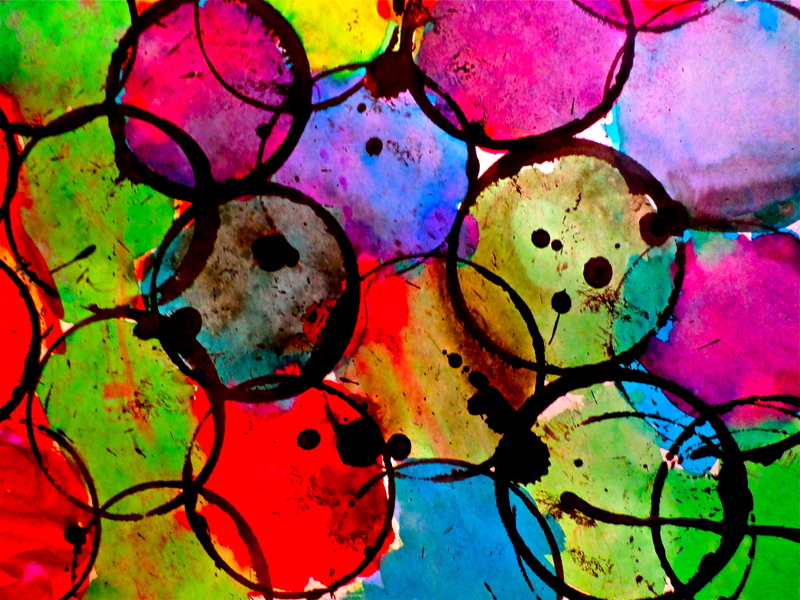 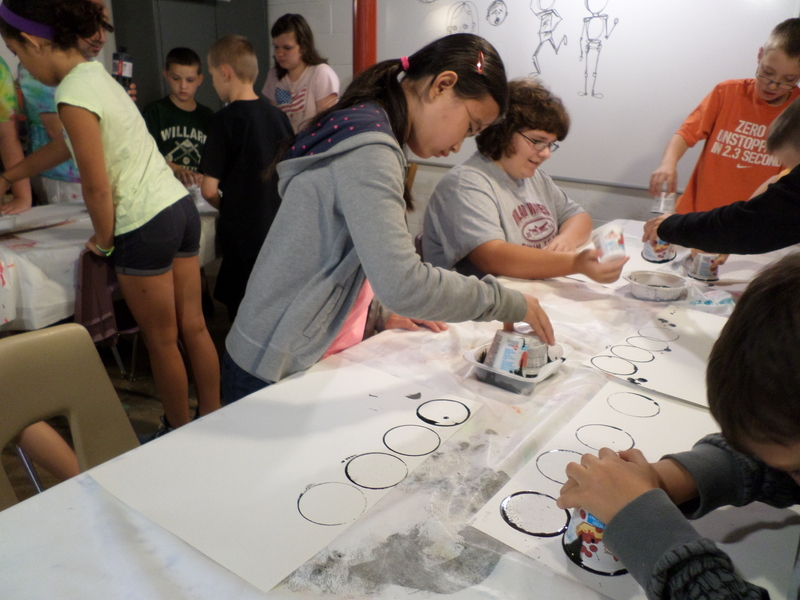 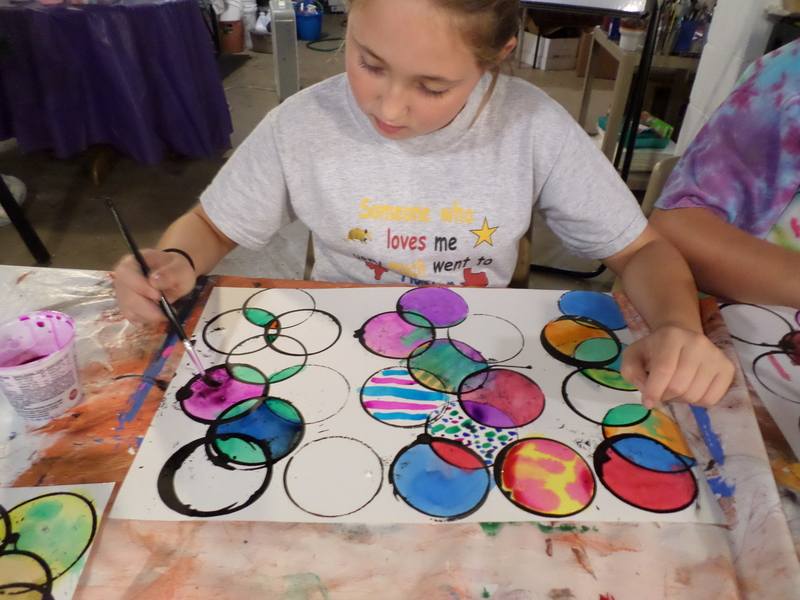 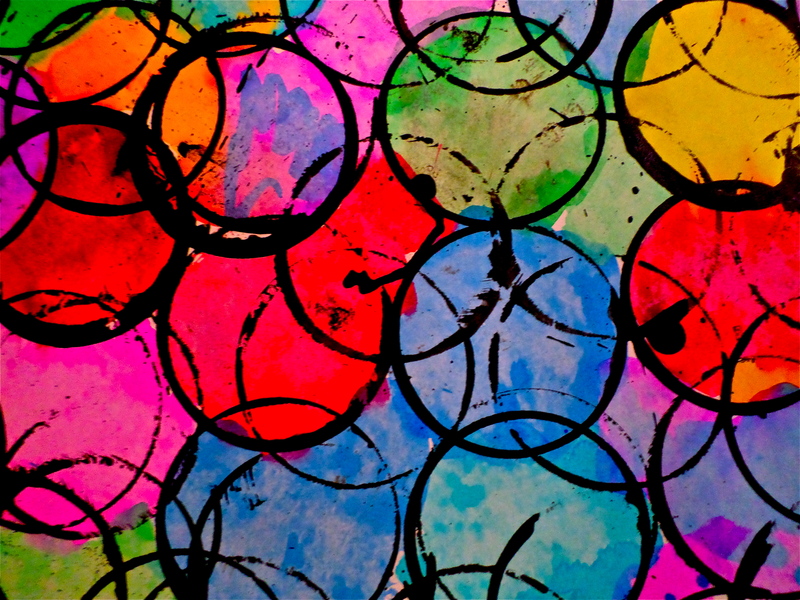 Circles was the theme of Art Camp Jr. this year. 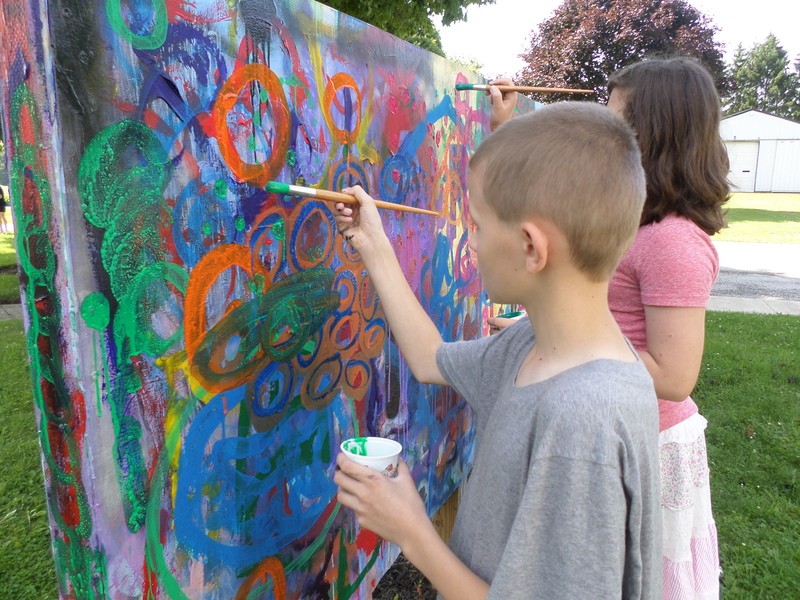 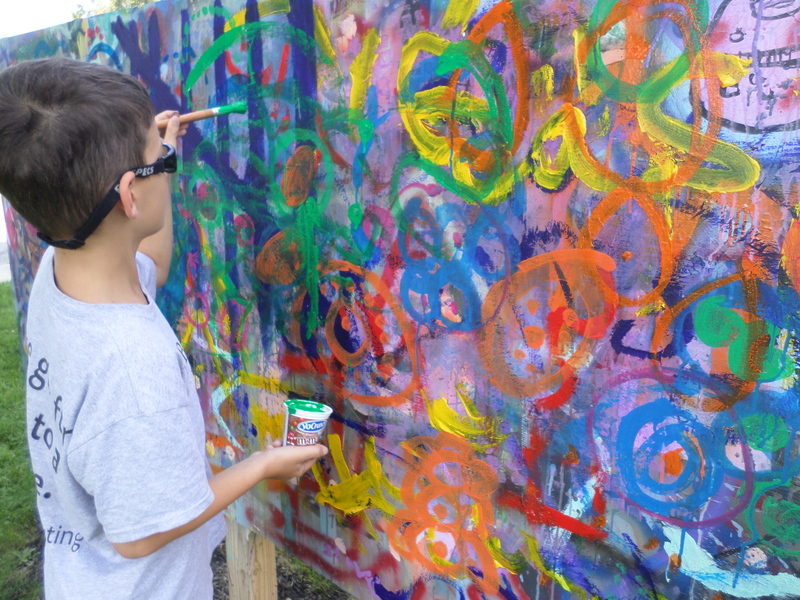 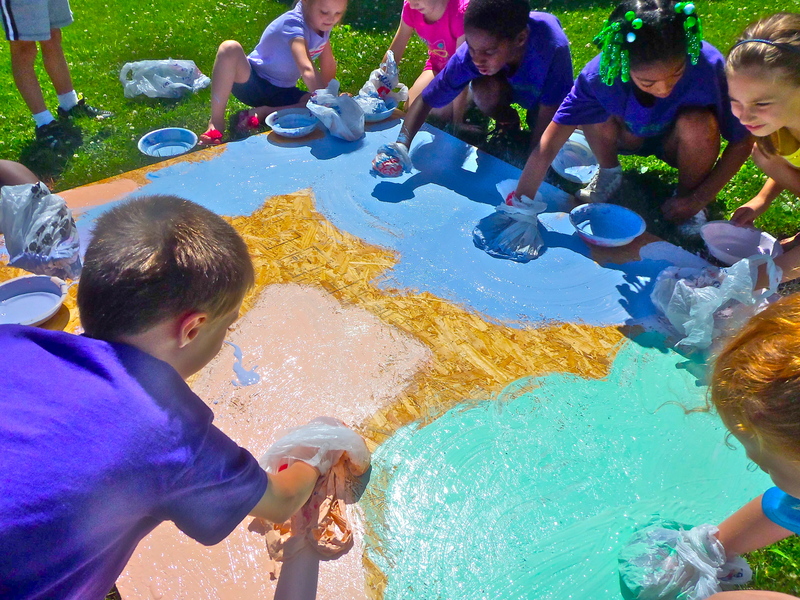 Everyone enjoyed their time of painting our large outdoor mural with various types of circles. 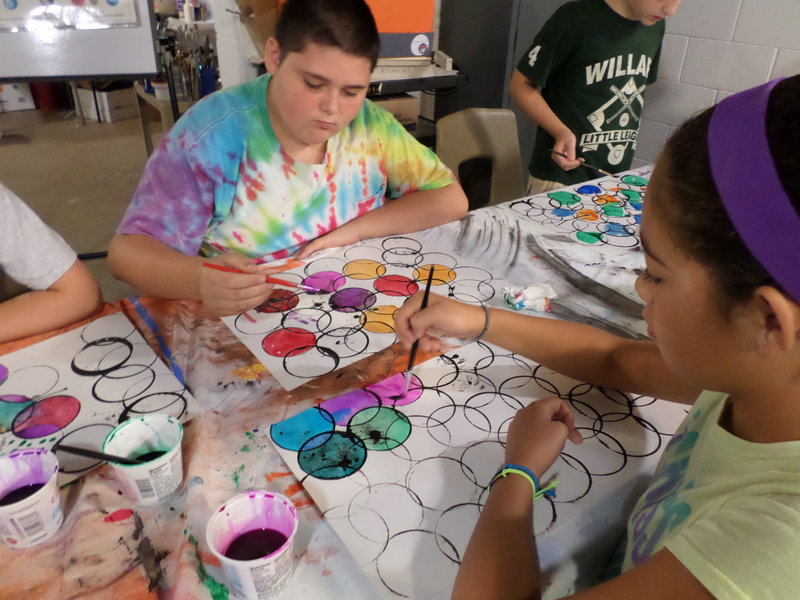 Everyone chose their favorite color to create circles with. 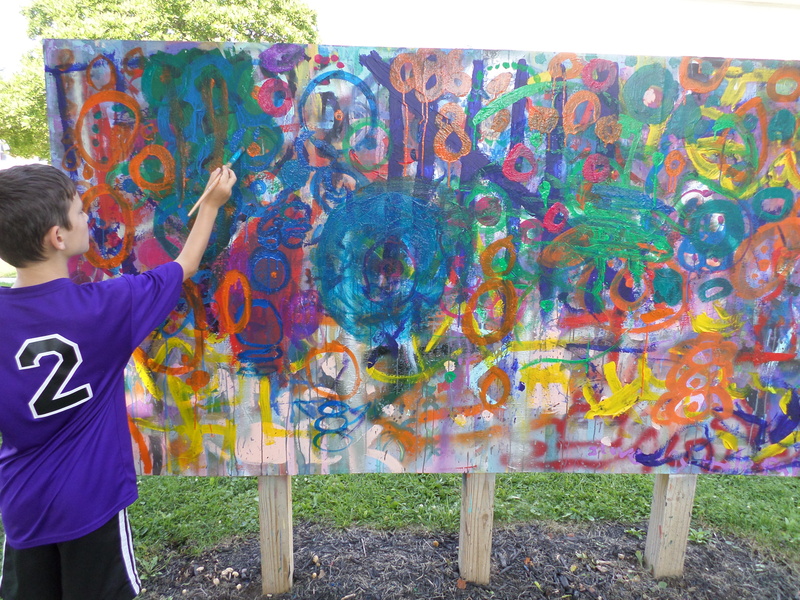 All of the students really enjoyed the painting process. 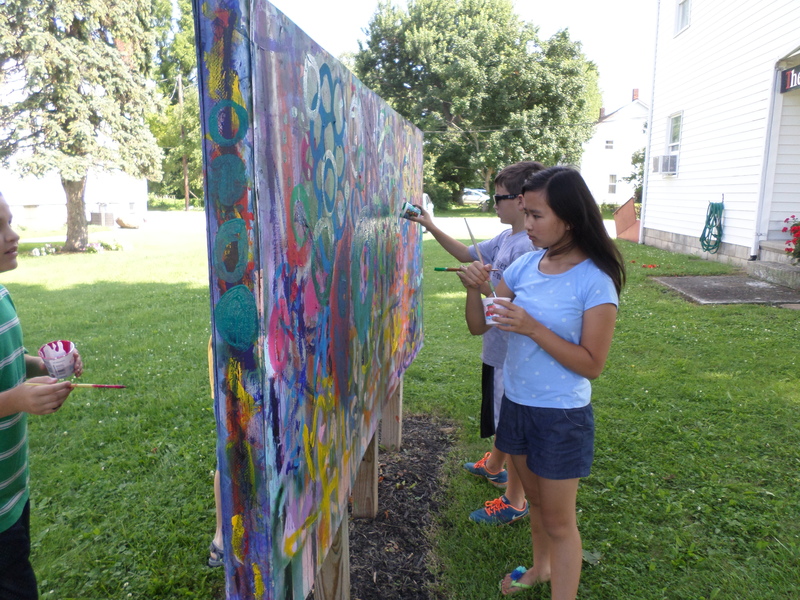 It was fun to watch the painters add personal touches to our collective mural in front of the Art Junction. 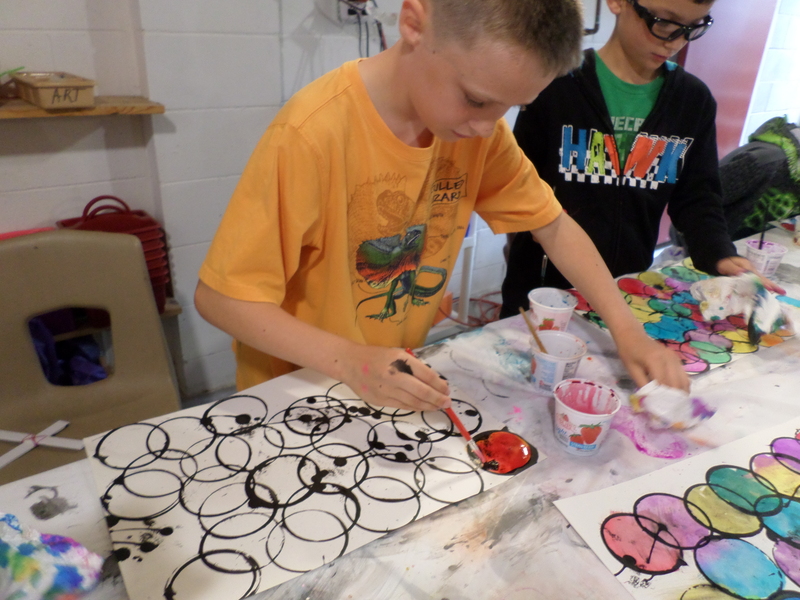 A wonderful reminder of their fun experience at Art Camp Jr.
Coming soon —- Art Camp & Art Camp Jr. beginning the second week of July at the Art Junction! 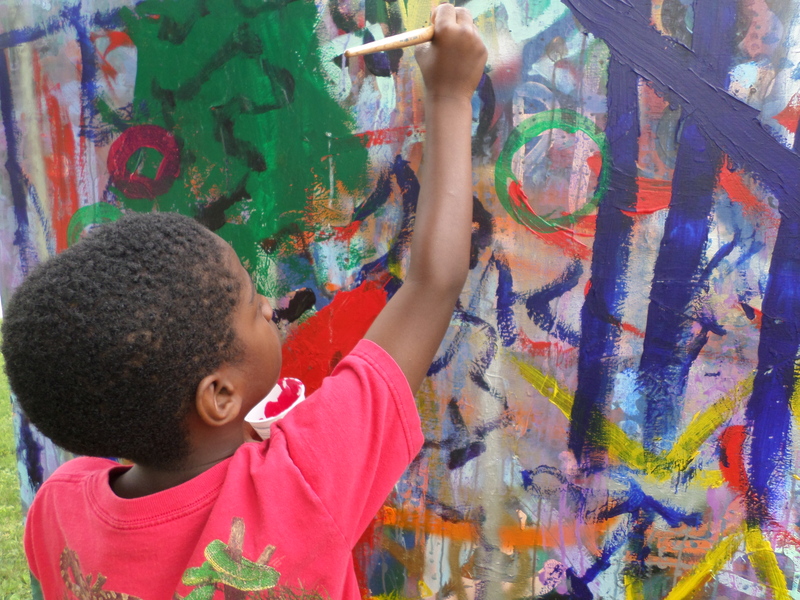 Check back for updates coming soon! 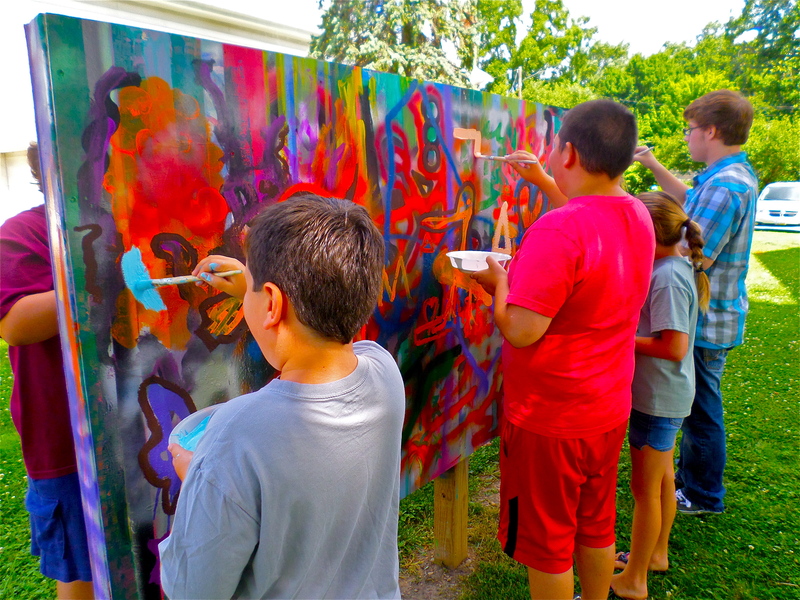 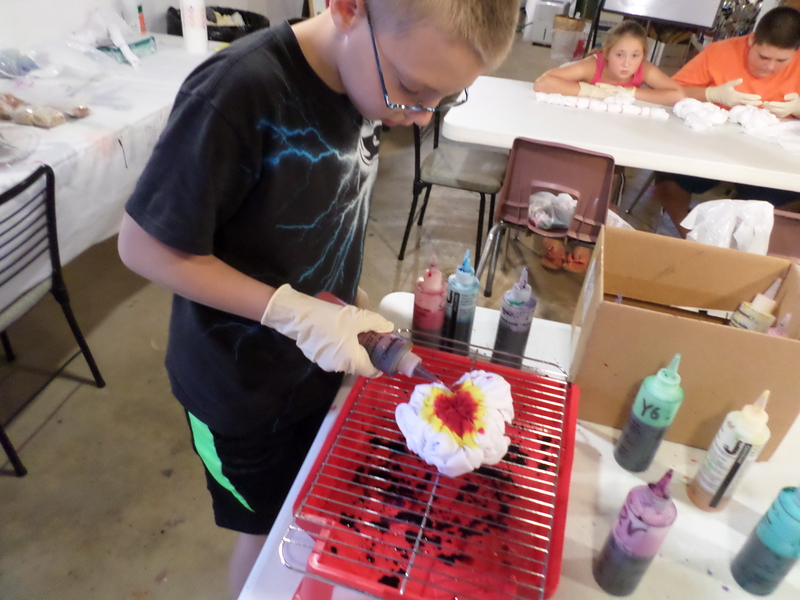 Tie-dye is one of the projects everyone looks forward to participating in at Art Camp. 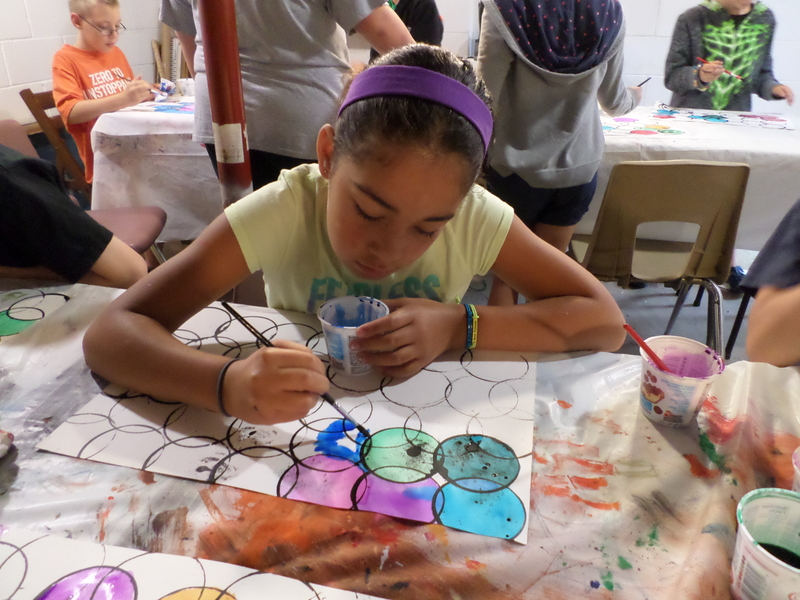 We hope you can join us for one of our summer programs this year! 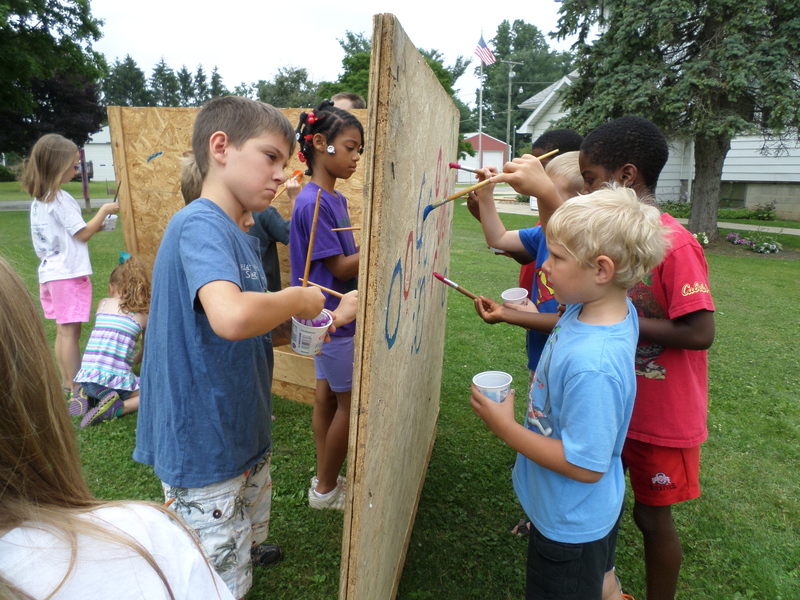 Mural painting at the Art Junction during last summers art camp. 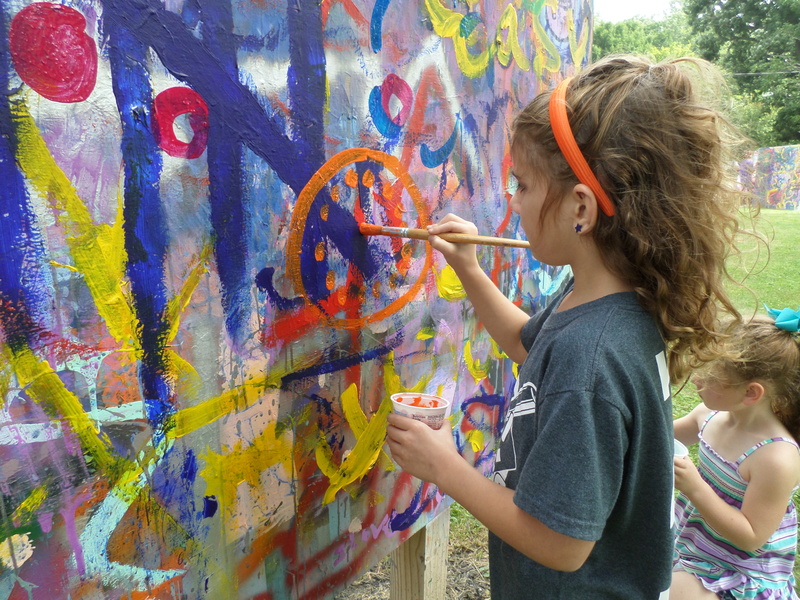 Make plans for art camp 2015 coming in July!